Florida Atlantic University is offering a free and legal way for music lovers to add to their collections, with no downloading required. The university’s Recorded Sound Archives at the Wimberly Library, which collects and preserves music, is holding its third annual giveaway of vinyl records Jan. 6 to 10. 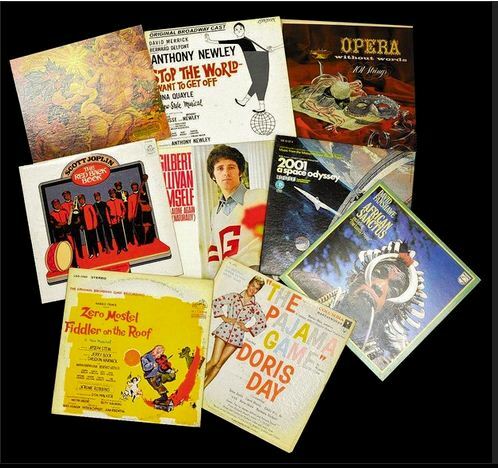 The retro collection includes more than 2,000 albums from some of the biggest stars from the 1940s to the 1990s, including Glenn Miller, Johnny Mathis, Barbra Streisand and Barry Manilow. And if you think vinyl is dead, think again. It was the fastest growing music format for the first six months of 2013, according to Nielsen Soundscan, which compiles music sales. 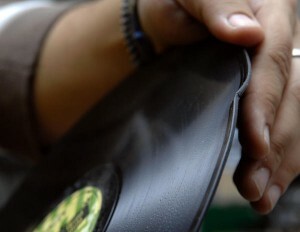 During that period, 2.9 million vinyl albums were sold, a third more than the previous year. 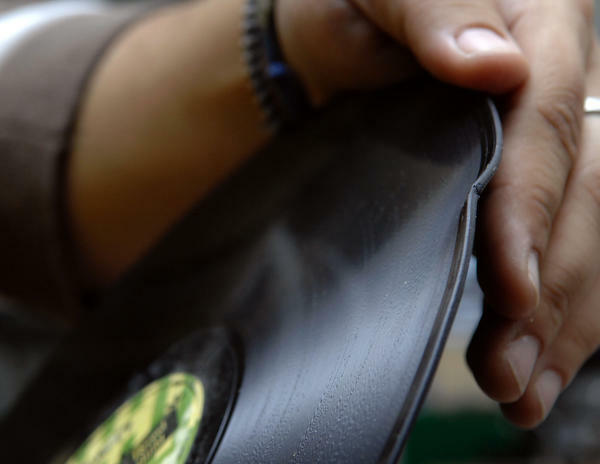 Vinyl accounts for about 2 percent of all albums sold. 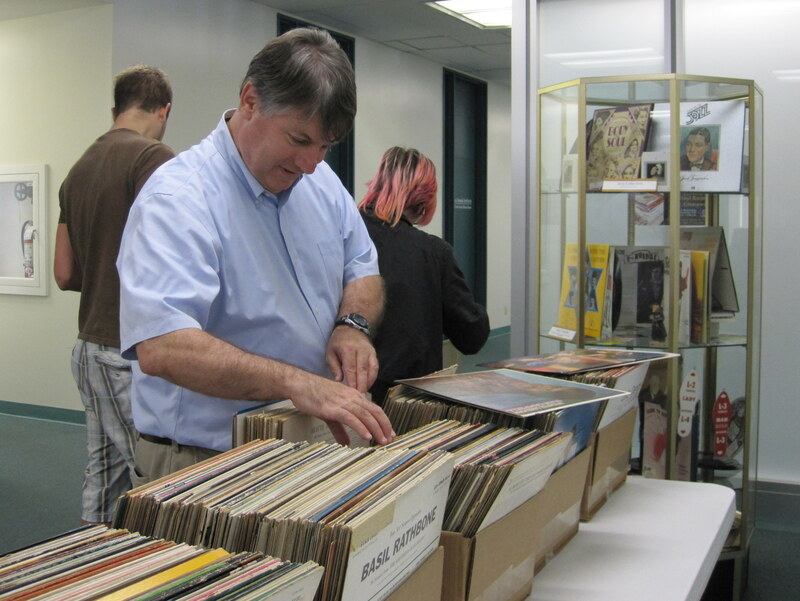 The FAU music archives has been accepting donations of old records since 2002. It started with a focus on Jewish music and later expanded to include classical, jazz, opera and children’s records. The music is digitized and archived, and available to students, faculty and researchers. Some recordings are also available to the public online. The records that FAU is giving away either don’t fit into FAU’s collections, or they are duplicate copies. “These excess recordings pile up over time, so each year we give the community a chance to browse through them and take what they want,” said Maxine Schackman, director of the archives. Ben Roth, an archivist for the FAU Sound Archives, said vinyl has a “warmer sound, not as sterile,” as digital music. Today every major music label is releasing new albums and re-releasing old ones on vinyl, Siegrist said. Turntables and needles are easy to find in stores. In addition to specialty shops, vinyl records and accessories can be found inside big chain stories such as Best Buy and Urban Outfitters. Classic rock is particularly popular on vinyl, including albums by the Beatles, Jimmy Hendrix, Pink Floyd and Led Zeppelin, Siegrist said. Roth said he was surprised at how popular the giveaway was last year, particularly with students. The collection started with more than 20 cartons of boxes, and by the last day, only two cartons were left. “Some gave them to their grandparents. Some kept them for themselves and played them on turntables given to them by their parents,” he said. The library will also offer a small collection of music on cassettes and 8-tracks, but demand for those has remained relatively low, Roth said. When: Jan. 6 to 10, 10 a.m. to 3 p.m.
Further proof that vinyl records are reasserting themselves in the collections of audio junkies are figures from music sales-tracker Nielsen SoundScan, released last week, which revealed that retailers moved 6.1 million wax units in 2013. 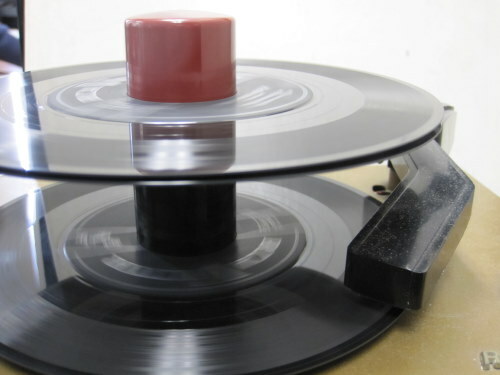 That’s a 33 percent upswing over 2012’s haul of 2.55 million, making vinyl the fastest growing music format of the year.So there may be abundant interest in the free records that Florida Atlantic University’s Recorded Sound Archives are slinging starting Monday at the Wimberly Library (777 Glades Road, Boca Raton). About 2,000 retro records are in FAU’s third annual giveaway, harvested through private donations and duplicates that don’t fit with the university’s own collection.Up for grabs are albums from Frank Sinatra, Barbra Streisand and Glenn Miller; Broadway recordings from “Fiddler on the Roof,” Gilbert and Sullivan and others; and genre music spanning jazz to polka. The giveaway runs 10 a.m.-3 p.m. Monday through Friday, Jan. 10, on the library’s fifth floor, and then resumes Jan. 27-Jan. 31. Info: Call Maxine Schackman at 561-297-2207 or email mschackm@fau.edu. 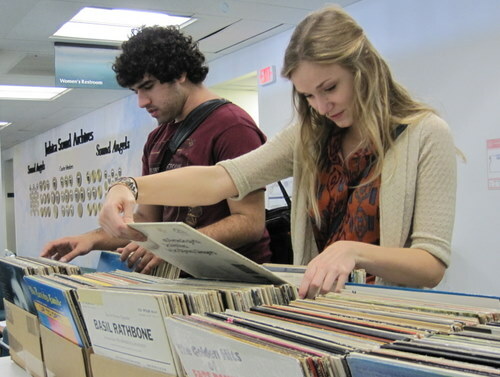 On Wednesday, November 2, 2011 FAU students and staff vistied the archives, checked-out the demonstration of obsolete audio equipment and browsed through vinyl LPs as part of the first ever Snap-shot Day at FAU Libraries! The free record give-away will continue through the month of November on Mondays and Wednesdays from 1:30 to 3:30 on Wimberly Library’s 5th floor. Students also enjoyed demonstrations of the Recorded Sound Archives antique and obsolete equipment. 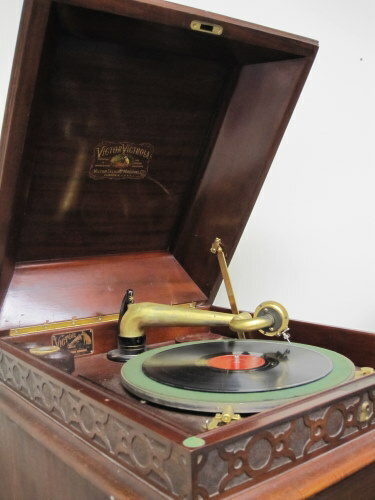 Many had never seen a 78 rpm recording, a Victrola phongraph, an 8-track tape player or a 45 rpm record changer before. 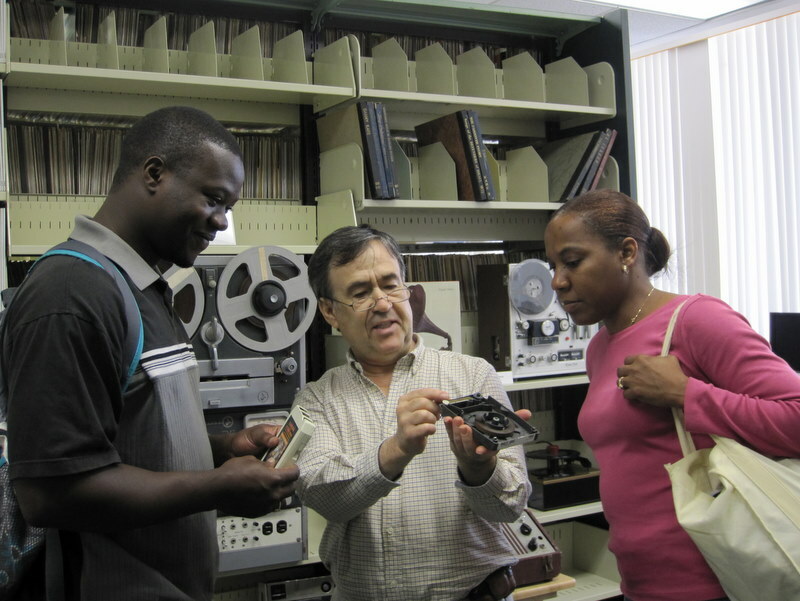 FAU students hear 8-track tapes for the first time and learn about how this technology began and why it died out. 1924 RCA Victor Victrola 78 rpm player.